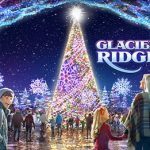 Dollywood’s Smoky Mountain Christmas presented by Humana has been honored for ten consecutive years as the Best Christmas Event at any theme park worldwide. Wander through the park’s more than four million holiday lights, spectacular holiday performances and warm Christmas atmosphere, and it is easy to understand why. From the cheer and joy of Dollywood’s Parade of Many Colors, to traditional holiday favorite performances like It’s a Wonderful Life and Christmas in the Smokies, Dollywood’s Smoky Mountain Christmas helps your family create memories to share for a lifetime. Guests can experience the fun enchantment of Rudolph The Red-Nosed Reindeer and friends straight from the children’s holiday classic. 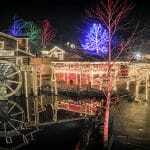 More than 20 of Dollywood’s signature rides and attractions operate in a festive environment sure to get everyone into the spirit of the season. 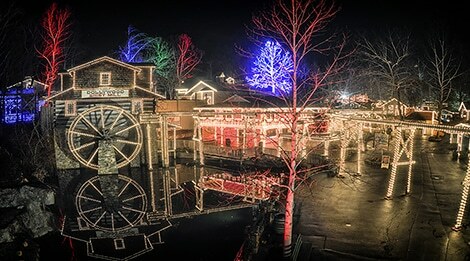 From the award-winning shows and elaborate holiday decorations to the twinkling lights and Christmas-themed menus, Dollywood captures the essence of Christmas. 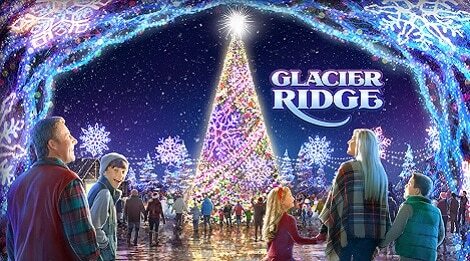 Rudolph The Red-Nosed Reindeer, the beloved Christmas tale, comes to life like never before during Dollywood’s Smoky Mountain Christmas. Rudolph and his friends will be at Dollywood for some new and exciting games and experiences. A family finds its own Christmas miracle with the help of a mysterious, white-bearded stranger. Dancing mice, singing sailors and a young girl’s belief in Santa highlight this endearing tale. Gather the family for the Parade of Many Colors at Dollywood. This exciting Dollywood parade features vibrant floats, interactive characters and even more surprises. *Performance dates and information are subject to change without notice.